A page on TigerLocal will showcase your business to hundreds of local people looking for a garden centre. So you'll get serious enquiries from new customers. 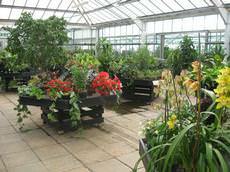 Burstow Nurseries was founded in 1949 and was originally the walled garden for Burstow Hall. Over the past few years, the Nursery has continued to grow and has developed into a Garden Centre offering a back to basics approach. 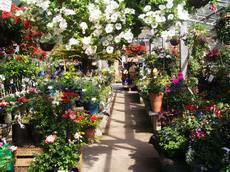 Daisy Nook Garden Centre is a family run business established in 1972. Outdoor plants are our speciality with stock of everything from the smallest of alpines to large specimen trees. This store opened in 2010, after moving from its old location in Hazlehead and is now the largest garden centre in Scotland's north. The Aberdeen store also incorporates several ecological features. 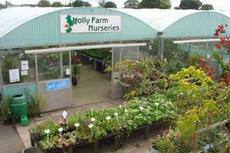 Holly Farm Nurseries was established in 1979. 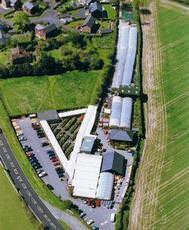 We are a traditional retail nursery offering a wide range of plants, many of which are grown on site. Our staff are friendly and helpful and advice is given freely. 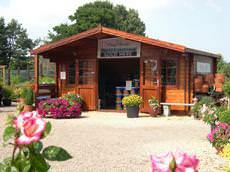 We are a long established family run garden centre and nursery. We grow our own bedding, perennial and tomato plants in season. Carbon-neutral LPG is used for heating. Palmers have the largest selection of European Specimen shrubs and trees containers in Yorkshire. Hanging baskets, planted containers and seasonal bedding plants always in stock, to ensure the finishing touches to your project. 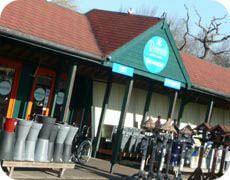 The Riverside Garden Centre is a family run, independent store located on the outskirts of Hertford, Herts. Owners, Russell and Jo Jeffery run the centre with a hands-on approach, always available to help and give advice. 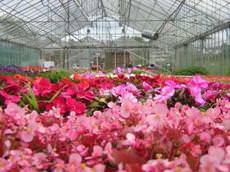 A popular family run Garden Centre providing a large selection of trees, shrubs and plants including heathers, alpines, hardy perennials and water plants. Three crowns garden centre provides everything for the garden and more! Specialising in bedding plants, hanging baskets and plants for beds and borders. Composts for every situation with a full organic peat free range. What can I buy at a garden centre? Do garden centres sell anything else besides flowers and plants? Garden centres in the UK specialize in selling plants, shrubberies, gardening equipment, compost, fertilizers, and other equipment and supplies for gardeners. 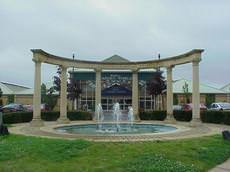 Some garden centres also sell outdoor furniture such as patio sets or gazebos, pet supplies or pets, and seasonal items like Christmas statues and decorations. 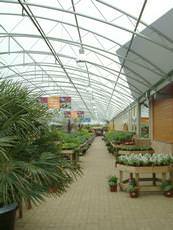 Generally, the larger the garden centre the greater the range of products it sells. Will a garden centre teach me how to create or maintain my garden? 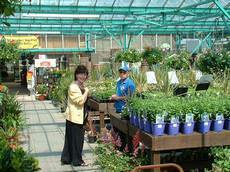 Many garden centres in the UK have horticulturalists on staff who will offer gardening seminars for their customers. Occasionally, a garden centre may bring in an expert in a certain area of gardening to deliver a guest seminar on his or her specialty topic, providing a great chance for customers to develop their gardening skills. Even when there's no guest expert or horticulturalist at a garden centre, you will find that garden centre staff have extensive gardening knowledge and can give you very good advice on the tools, supplies, and techniques you need to create or maintain your garden. I live in an urban area. Are there garden centres in the centre of the city? Garden centres are usually located outside urban areas where real estate costs are lower as garden centres need a lot of square footage to lay out their inventory. However, in recent years there has been an increase in interest in urban gardening by residents of larger cities. Many city-dwellers are trying to bring nature into their lives through balcony flowerpots or herb gardens. In order to cater to these urban gardeners, smaller garden centres have been opening up in city centres. The trend is growing, so in future there will likely be even more city-centre garden centres. 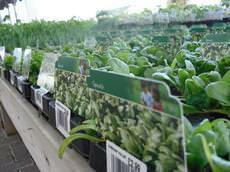 What's the difference between a garden centre and a nursery? While garden centres and nurseries both sell plants and flowers, the different is that nurseries generally don't sell anything else. 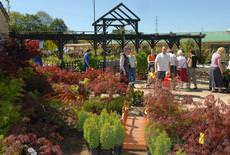 At a nursery, you'll find only plants and perhaps some gardening equipment. At a garden centre, you'll find these things, plus outdoor furniture, fountains, fertilizer, and maybe even pet supplies, seasonal garden items or other miscellaneous items. I'm a complete gardening beginner. I'm afraid I'll feel lost in a garden centre. What should an inexperienced gardener know before visiting a garden centre? If you're new to gardening and want to learn more about it, your best move is to visit a garden centre. Garden centre staff are passionate about gardening - that's why they work at garden centres after all! There's nothing they like more than sharing that passion with someone who's new to gardening, so you'll have no shortage of teachers on your first visit to a garden centre. Chances are the other customers at the garden centre are avid gardeners themselves and will be keen to introduce a beginner gardener to the activity. Before you visit a garden centre for the first time as an inexperienced gardener, it's a good idea to do a bit of preparation. This doesn't mean you need to head to the library to learn all about gardening. Instead, concentrate on your goals for your garden. Decide what your budget is, what kind of garden you'd like to create, and how much time you'll have every day to tend to it. If you clarify your gardening goals before visiting a garden centre, the garden centre staff will be better able to get you started on a long and enjoyable gardening experience. I often visit National Trust gardens and would like to cultivate some of the plants I see there in my own garden but I know I can't snip clippings when I visit! Is there a garden centre where I can purchase the same plants I see in National Trust gardens? Sometimes. Many National Trust gardens as well as other privately operated gardens also operate small garden centres where you can purchase the plants you see in the gardens. These garden centres usually have a trained horticulturist on hand to give you expert advice on how to cultivate the plants in your own garden. Of course, it goes without saying that when a garden does not have an attached garden center you should always ask before taking clippings of any plant!